If you are interested in buying wholesale candles to carry in your store register a username and password then give us a call at 717-564-2220 to let us know you are interested in wholesale. we will need to get a little bit of information from you and activate your account. Once your account is activated you will be able to log in and view all the products at the wholesale prices. We have a minimum opening order of $500. Once established as a wholesale account, there is no minimum dollar value for reorders. Some of the information needed to get approved to sell Keystone Candle is, the name of your business, how long your company has been in business, where it is located, your tax ID number, and what kind of business you are. We also have pdf order sheets for you to use if you would rather, however they include only our candles, no accessories or items purchased from other suppliers Follow this link to download the pdf file. We sell all of the candles seen on our website at wholesale pricing to our accounts. In order to become a wholesale account you need to have a retail space from which you will sell our candles. This can include, but is not limited to, a physical building or a website. By accepting the opening minimum order amount for our wholesale candle program, you are showing us that you are willing to have a space in your store dedicated to displaying and selling our candle products. In order to have Keystone Candle, or any companies product, sell well for you, customers need to be able to see the products. Your customers need to feel from you the confidence you have in our product in order to make a purchase. When you have a nice looking display of products, that shows customers that you are confident in a product. 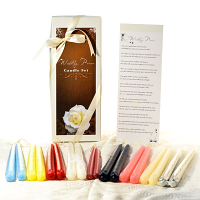 You will notice on our website the large variety of candle colors, fragrances, styles we manufacture. 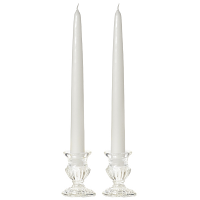 The bigger variety of candles you carry the better your sales will be. Your variety can be confined to one style of candle with many sizes and fragrances or have many styles and fragrances, with fewer sizes. Our best selling lines are our jar candles and unscented candles which we offer in a wide variety of colors. During the fall and winter, our scented pillars, both textured and smooth do very well since they make beautiful centerpieces and decorative arrangements for the holidays.